Fed up of superhero films? Hiding your copy of Watchmen behind the Economist on the train? Comics are a serious literary form as well as being fun, says the author of a new book on Batman. 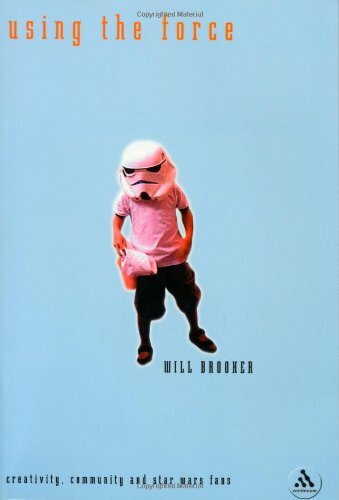 Will Brooker is professor of film and cultural studies at Kingston University. The media has dubbed you “Dr Batman.” Who wouldn’t want to be called that? Well no one else can now! The title’s gone. They would have to fight me for it. There can only be one Dr Batman. I have a lot of PhD students as sidekicks who are looking to take over the role, if they don’t become villains instead. Do you feel the spate of films based on comic books over the last decade has done comics a service or disservice? Actually, my impression is that comics are a minority pursuit again, just a research project for film producers. Films and video games are so much bigger. Marvel considers comics a sideline now, and there’s not much feedback from the films to the comics. The Avengers has taken more than a billion dollars at the box office, but I doubt that many of the people who saw it then bought any of the original comic books. So why should we read comics? What’s the appeal? They are a unique storytelling medium. They can tell a story in a way that no other medium can. But I’m not evangelical about comics, and I don’t have a problem if they’re a niche interest. There was a time in the eighties when everyone thought comics were going to break through. They were sold in bookshops. “Sequential art”, “post-textual literature” and all kinds of other pretentious terms were bandied about. I don’t think that’s necessary. 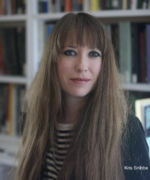 Comics are their own thing, and work on their own terms, in different ways to novels and films. So were the eighties the moment when it became alright for an adult to read comics? It became briefly alright, and then the bubble burst. It was almost like the dotcom bubble. In around 1986, Alan Moore’s Watchmen came out, which is on my list, and Frank Miller’s The Dark Knight Returns, and Art Spiegelman’s Maus. Those were called “the big three”, and were all comics that broke through into mainstream respectability. They were reviewed on the BBC and for sale in bookshops on Charing Cross Road. For a while, it was quite trendy to be reading a comic on the train. But that didn’t last longer than 10 years at most. It turned out to be a fad. Tell us more about Watchmen. Watchmen was originally released in 12 parts, one a month, over a year from 1985 to 1986. There was a film made of it in 2009. And now a controversial prequel series is coming out, done by new writers and artists, which goes back to earlier in the characters’ stories and which has been disavowed by Alan Moore, who created the original. Watchmen isn’t about specific superheroes so much as archetypes. Moore was asked to do something new with a group of characters, the Charlton Comics superheroes. There was a Superman-type character, a vigilante character, a super-soldier, the token woman and so on. But what Moore came up with was so interesting that they didn’t want to use it with those characters, so they changed the names and turned them into almost mythical figures. 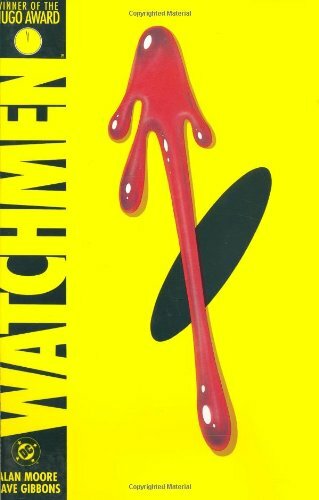 Watchmen is also very much of its time, with a climate of fear during the Cold War. It’s set in an alternative 1985, overshadowed by the threat of nuclear war, and that drives the plot. The comic starts with the death of a super-soldier character called Comedian, who was employed by the American government. He has been thrown out of the window, and Rorschach, the street-vigilante detective, investigates who could be behind the murder. I won’t spoil the plot, but through Rorschach’s investigation we get drawn into the past of all the major characters of this now-retired superhero team. It’s all linked to the threat of nuclear war. Comedian’s death is part of a master plot to avert nuclear destruction by presenting the Americans and the Soviets with a new threat, which is supposed to prevent them from destroying each other. Let’s look at Batman next. Which book did you choose here? 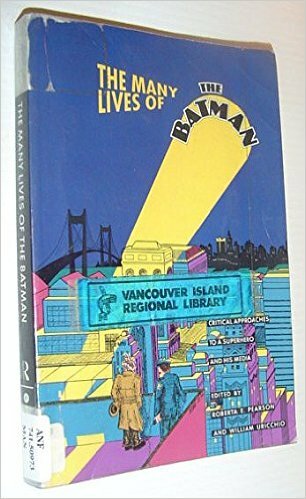 The Many Lives of Batman, which is a collection of essays edited by my former PhD supervisor, Roberta Pearson. 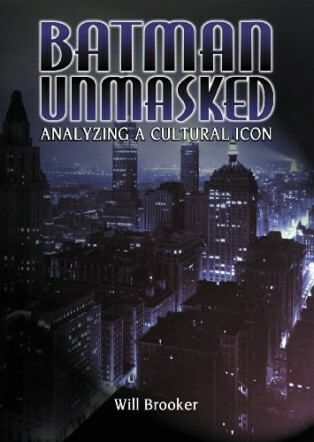 Reading this book showed me that I could get away with studying this kind of popular culture at a high academic level. It was published in 1991, so the most recent Batman text was Tim Burton’s 1989 blockbuster film. To my graduate students born in 1992 this is ancient history, but it is still very relevant. At that point you can already identity a fragmentation whereby Batman exists across many media in many different forms. You wonder if his meaning is going to completely break down, and split into so many different forms that there won’t be a single idea of Batman anymore. That’s what I engaged with in my own new book – to say that Batman has fragmented even more now, two decades on. I argue that Batman is an archetype that functions as a mosaic. He’s a statue made of fragments. That also applies to figures like Dracula or Robin Hood, or even Jesus. 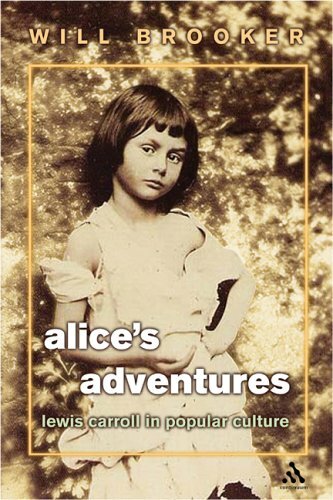 They are iconic figures made up of various different stories, some of which we accept more than others. The character is not one thing but made up of many different things. Having compared Batman to Jesus, what is the appeal of him as a character? The appeal of Batman for me is precisely that he is so many different things, that all remain part of the same character. He is a father figure, a clown figure, a gritty vigilante, a policeman. He’s seen by some as camp, a gay icon even. He can be a science fiction character, a film noir character, a pop art character. These all work under the same framework, and he always has the same traits. He is orphaned, has no superpowers, is waging war on crime, is fighting to avenge his parents’ deaths, and is aided by his intelligence, gadgets and money rather than superhuman ability. 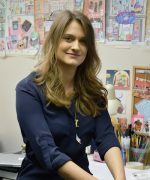 That last trait is particularly enticing – the idea that you don’t need to be bitten by a radioactive spider to be special, you just have to work really hard. I agree, and that’s one of the reasons why Batman is fascinating to people at a personal level. You could never be Superman, but if you trained hard enough, built your body and made lots of money, you could be Batman. He represents a normal person who has pushed himself to the peak of human ability and intellect. He’s an intelligent guy as well, not just a fighter. Batman began in May 1939. It’s usually credited to Bob Kane, although a recent book, Bill the Boy Wonder, has argued that Bill Finger played a large role. There is no clear-cut story. He is possibly best known through adaptations for the screen. My favourite is the 1960s TV series with Adam West, which is great fun and very camp. Mine too, although some people hate it. They are purist, and think Batman must be dark, uptight, militaristic and obviously heterosexual. I think Adam West’s interpretation works because he played it very seriously. The programme ran from 1966 to 1968, and I still enjoy watching clips of it on YouTube. But the first time Batman was on screen was in 1943, starring Lewis Wilson. What was the flavour of that version? It was anti-Japanese, in a word. It was quite cheaply made war propaganda, with a villainous scientist called Dr Daka, played by a non-Japanese actor. So Batman was bringing the fight to the Japanese, who [in the story] were in the US at time, brainwashing Americans. It introduced a propaganda element that was not in the comics. Now, tell us about Christopher Nolan’s more recent films. What is he doing with his trilogy which is fresh and different? Christopher Nolan’s Batman films are about more than simply superheroes and costumes, CGI and effects. One of the key impulses behind the films was to make it as realistic as possible. Christian Bale underwent a rigorous training regime, as did Anne Hathaway for playing Catwoman. There is very little CGI, the stunts we see are all real and the story tries to imagine how it would really work. Batman doesn’t get Alfred to sew him a costume, he has to order 10,000 of them from Korea in bulk, because that’s how a billionaire would do it. The second film, The Dark Knight, also said something about post-9/11 American culture. It codes the Joker pretty explicitly as a terrorist. The Dark Knight asks how far we can go to fight fire with fire. If we are threatened by terror, to what extent can we take the gloves off? Batman terrorises the Joker with harsh interrogation, which obviously has a resonance for American policy. He takes a suspect from Hong Kong back to Gotham City, which is an example of rendition. And he infringes civil liberties, by using sonar to invade the private lives of ordinary citizens in order to find the Joker. There are all sorts of dilemmas posed. If we are threatened by terrorists, to what extent can we become terrorists in order to combat that threat? In the end, Batman has to go into exile, almost to be punished for crossing the line in battling the Joker. What can we expect from the third film, out later this month? 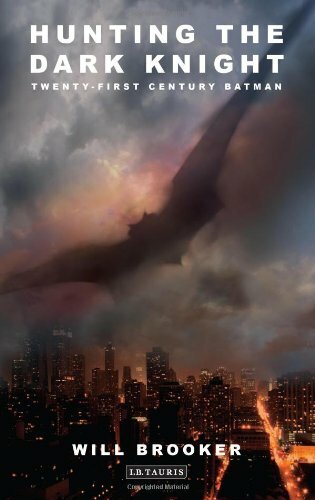 Batman is in exile, eight years after the events of The Dark Knight. Gotham City is in a time of peace, but peace based on the lie that Harvey Dent – who actually become [the villain] Two Face in the second film – never turned to evil and remained the white knight of Gotham, while Batman is the villain. Then Gotham is faced by a new threat in Bane, and Batman has to return from being an outcast to save the city. Bane, I think, represents the collective against the individual. There is even an analogy with the Occupy movement. Bruce Wayne is obviously a privileged one percenter, while Bane commands armies of prisoners and mercenaries, representing the mob and the mass. 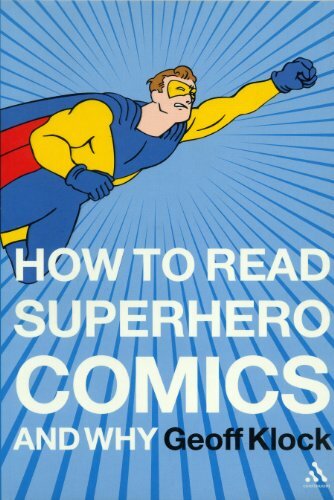 How to read superhero comics? And why? 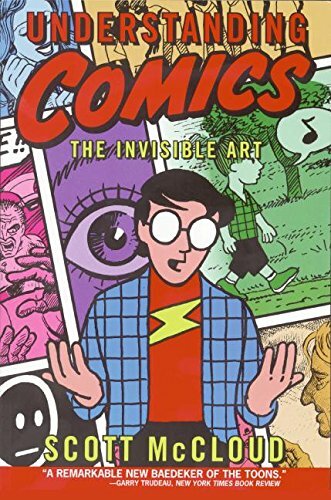 This is quite a challenging book, taking comic books very seriously and applying literary theory to key comics of the 1990s. It has especially good analysis of Watchmen and Frank Miller’s The Dark Knight Returns. The argument is that comics work through a process of one period replacing another. So the superheroes of the golden age and silver age, from the 1940s to the 1960s, replaced the pulp heroes of the 1930s – the Spider, Doc Savage and so on. Then the Marvel superheroes of the 1960s replaced the DC ones, and new characters in the 1990s in turn replaced the Marvel ones. So it goes in phases. The book talks about the anxiety of influence – how every new creation has to come to terms with the figures that inspired and shaped it, and overcome them like a father figure. Tell us more about your fourth pick. Understanding Comics is a book about how comics work, told in comic form. It’s very accessible, it’s for the general reader and is about comics in general, not just superhero comics. It explores areas like pacing and editing – how motion can be created through static panels on a page, and how arranging those panels in different ways, or drawing in different styles, or combining text and image, has different effects. 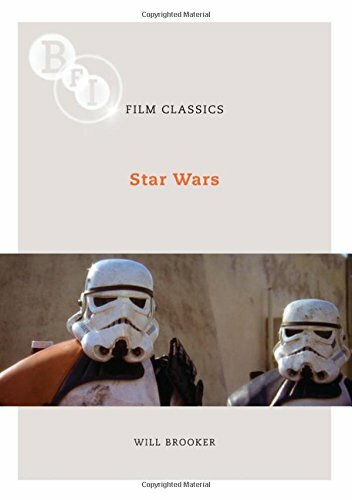 It’s almost like a book on film study which explores the role of sound, lighting or editing. Scott McCloud is an artist himself, and he draws pastiches to show how different styles produce different effects. How is “sequential art” different, or grander, than comics? Well I think we can agree it sounds grander. It’s not a term I would use. I think it’s a term used by people who feel the need to validate or defend the academic study of comics. I don’t think we need to dress it up in new terms. A comic is a comic. We apply the same kind of theories to them as we do to novels, plays and films, and yield interesting results. What can a comic do that a standard book can’t? Comics have the juxtaposition of text and image. That is something you can’t do in a novel. If a textual caption laid over an image doesn’t relate directly to the image, but seems to echo it somehow or have a metaphorical relationship to it, that is especially interesting. For example, in Watchmen there is a panel of a character straightening his cufflinks, and over that is the text “Every damn link” as spoken by another character from a previous panel. It’s a transition that you also see in films, but which works differently in a comic because we read them at our own pace. The images aren’t put in front of us and then taken away. We can linger for longer on an image, and we determine the speed at which the comic goes. Alan Moore in particular split up word and image, and experimented with juxtaposing them to suggest metaphorical links and symbolic echoes between word and image. So you can use word and image in imaginative ways, or in simple and unimaginative ways. There are bad comics just like there are bad books. Will you recommend a good one as your final selection, to leave readers with something they can buy to see what it’s all about? Can I choose a Batman one? Let’s have my favourite Batman comic of this year, just out in the shops, called Batman: The Court of Owls, by Scott Snyder. It’s a collection of eight comics, which came out monthly between 2011 and 2012. The plot suggests that everything Batman thought he knew about Gotham City was wrong. In fact, the city is run by an organisation called the Court of Owls. They are based in the 13th floor of key buildings in Gotham, so they literally have a secret storey, and occupy a shadow narrative in the history of Gotham. Bruce Wayne/Batman denies this, because he feels he knows the city, so it’s a threat much more fundamental than villains who come and go. The story takes us back to the 19th century and involves his parents, completely rewriting the history of Gotham. As such it’s a bold move for Scott Snyder. To introduce a hidden element to Gotham is to unnerve who Batman is. Will you leave us on a moment of suspense, in true comic book tradition? 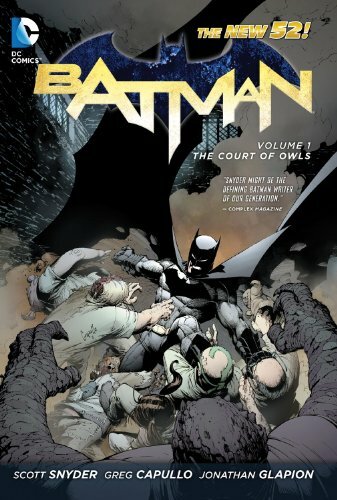 There is a key moment where Batman is placed by the Court of Owls in an underground maze, with a model of Gotham City and photographs of key Gotham citizens who, it transpires, were part of the Court. Basically, they try to drive him mad. But when he’s down to his very last ebb, his final dregs, he keeps on going. He nearly dies, but summons the strength to resist. And that’s what is special about Batman. He can die. He’s just a normal person. But he never gives up.